Where should I invest? Mutual funds, UITF, VUL or stocks? Answer: First of all, congratulations on taking this important step in your journey to financial peace! But the question of which product is right for you depends on where you are in life and what your goals are. While I can’t make any specific recommendation because I don’t know more about your financial situation, I can give you a broad overview of each product you mentioned to help you make the right decision. I’m an advocate of life insurance, which is something Filipinos sorely lack. Variable life insurance (or VUL) is a product you can consider if you need both insurance and investment. VUL will give you insurance benefits but it will also have a fund that is being invested according to your objectives, risk profile and other preferences. If there are already people depending on your income, you should get a life insurance policy. But if your sole objective is purely investing, then this may not be the right instrument for you at this time, because in the first couple of years of your policy, most of your money will actually go toward premium payments. If what you want is to put all your money in investments, and your risk tolerance is moderate to high, UITFs and mutual funds can work for you. A big advantage of these is that they are professionally managed by experienced investment managers, who are trained to invest properly. Even if you yourself are not well-versed in investing, you can rest assured that you’re in good hands. The main difference between these two is that UITFs are offered by banks, while mutual funds are their own companies. By buying into a UITF, you own units of this fund. By buying into a mutual fund, you own shares and become a shareholder in the mutual fund company. All your earnings are net of tax and fees as represented by the NAVpu (net asset value per unit) for UITFs and NAVps (net asset value per share) for mutual funds. When it comes to these pooled funds, you can choose from a variety of investments for every risk appetite. You can also choose among actively managed funds, where a fund manager tries to beat the index, or passively managed funds, which simply try to match the performance of an index. In more economically advanced countries, passively managed funds match or outdo the performance of actively managed funds because those markets are already efficient. However, in younger markets like in the Philippines, active fund managers can still perform better than the index because the market is not efficient yet and there are still advantages they can leverage. However, investing in mutual funds and UITFs comes with some disadvantages. The management costs can be significant, going to up to 2 percent. For UITFs, sometimes the bank branch staff aren’t trained to handle inquiries, and some of them might even discourage you. Mutual funds and UITFs will work for you if you don’t need the money right away and can stand risk, but don’t have the time to learn all about stocks. They’re also a good vehicle for retirement funds because the long-term nature of your need will allow you to weather the fluctuations of the market. I’m encouraged by the good performance of many funds over the last few years, but keep in mind that past performance is never an indication of future performance. Now we come to the elephant in the room: stock investing. Individual stocks come with a lot of advantages: you have direct control over what you buy, unlike in a pooled fund that is automatically diversified. You get residual income if you buy a stock which pays out good dividends. Your returns are maximized because you’re not paying management fees, and if your individual stock outdoes the market, you make money even if the market as a whole is going down. And if you choose the right balance of stocks, your portfolio’s growth can outperform the index. But! Before you start counting your chickens, know that stock investing is not easy to get into. You’re going to have to spend a lot of time learning about how it works. You’ll also have to learn fundamental and technical analysis, spending time reading financial reports from the companies you want to invest in and learning market trends to make the best investment choices. And to be properly diversified, you’ll need to start with a big capital; otherwise, you’ll be limited in the kind of stocks you can add to your portfolio. Bottom line: if you want the protection of life insurance, go for a VUL. If you want to participate in the growth of the Philippine economy but don’t have the know-how to go into stocks, choose a mutual fund or a UITF. If you have the time to learn, money to invest, and aggressiveness to match, stocks may be for you. 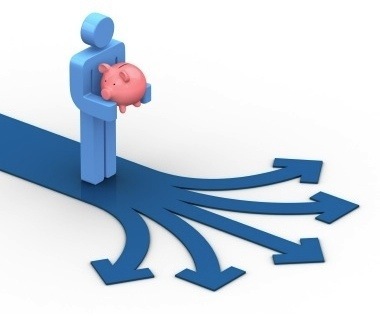 There are a lot of options for you if you want to start moving your money out of a savings account and into a product that can work harder for you. If you are a new investor, I recommend you invest in a pooled fund first as you learn how the stock market works and develop your competency in investing. Once you’re confident that you’ve learned enough, then you can invest in the stock market. Whatever undertaking you choose, it must have a good foundation—this is true for investments as well. Develop your base of good money management, savvy saving, and common sense, and this solid foundation will bring you real prosperity. Boom! You hit it big time!!! As always, very well explained, Sir Randell. For Josiah, I can help you with your concern. You may call my office at 8845433 local 1578 and look for Erika or Racquel and leave your number with her if you’d like us to meet. As Sir Randell mentioned, I need some inputs from you before I can make specific recommendations. Hope to hear from you. there are so many avenues to grow your money….follow what your instinct tells you …who knows you might hit big time! but stay away to the scammers, there no investment that makes you a millionaire overnight. I started my personal finance journey, by taking a VUL insurance. Then a few weeks after mutual funds. Once, I became confident enough, a few years after I started investing in the stock market. Very informative post, I hope everyone can read this article. Thanks sir Randell for spreading financial education to our Kababayan’s.